Assistive dynamically remediates your site to ensure WCAG 2.0 or 2.1 AA conformance and improve accessibility for all users. Our team ensures you are providing a fully accessible site in weeks. Provided as a fully managed service and requires no IT resources, at all. Specifically, no web development, re-coding or back-end systems integration. 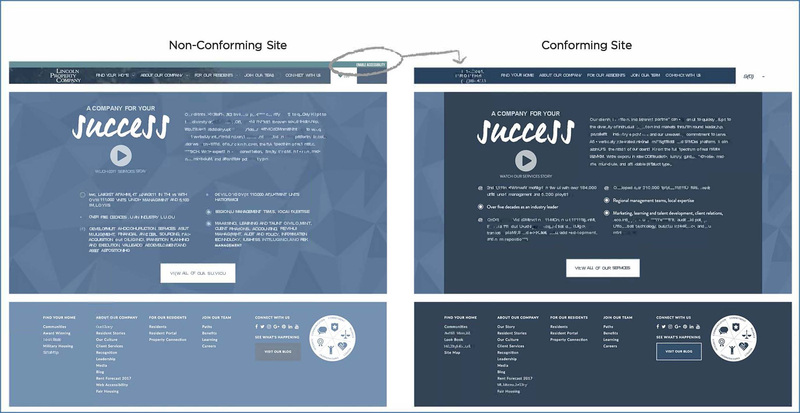 Assistive dynamically remediates your site to make it conform to WCAG AA standards. Resulting accessible sites are tested for usability by user testers who are daily users of assistive technology. Can be applied to desktop, tablet and mobile. UsableNet Assistive is provided as a fully managed service maintaining accessibility. Let our team of Accessibility Experts do the heavy lifting for you. We're ready to put you on the best path to achieving and maintaining compliance.